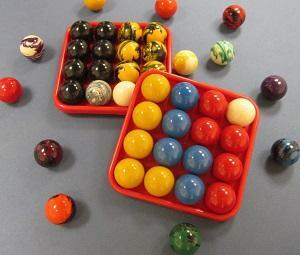 Bobble Ball - "The Egg Shaped Billiard Ball"
Have Fun With Your Pool Table! in order to earn the right to pocket a billiard ball and continue their turn. Caroms Returns To The Game! Bobble Ball than their opponent's ball. bank against one or more rails to get there! Shuffleboard On A Pool Table! A Game That Improves Your Game! "Bobble Ball improved their pool game." Note: Most players stand when playing the hand rolling version of the game. We played the game seated for filming purposes. Reports Great Reviews From Players! "Bobble Ball is very unique and fun for everyone!" "I highly recomment Bobble Ball for competitive competition, as a teaching tool, and as a fellowship opportunity to enjoy with family and friends." Steve Lillis, President and Founder of Gospel Trick Shot Ministries, Inc.
"Kids at the club enjoy Bobble Ball (hand version) because this game requires strategy, skills, and critical thinking that keeps them wanting to play." "Our active adults were so exited when we added Bobble Ball to our recreation program! They enjoy the socialization, friendly competition, and playing such a challenging, fun game! "I have personally played this game and I have found it quite fun. It may appear strange and kinda pointless, but once you try it out, it is very entertaining." 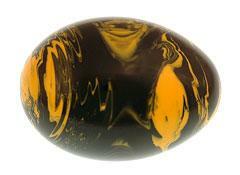 Why Does Bobble Ball Have To Be Egg Shaped? or messing up the position of other balls on the table surface. the game challenging and fun!